"How can you tell when and earthworm is mature?" This question was sent to me recently and it's an important one. A mature worm is a breeding worm and is laying eggs filled with baby worms, making the worm farming business a truly "sustainable" one. 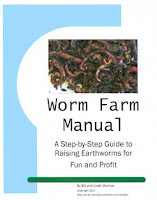 Once you have a "breeding stock" of worms, you will be replacing worms that you sell or use for bait and (hopefully) never have to buy another worm. Size: Any large worms you see are, of course, mature. The bigger the worm, the bigger the egg capsule, the more babies per capsule. The bad news: it generally takes up to a year for a newly hatched worm to reach it's full size. The good news: they are laying eggs as they are growing up. At some point in your worm farming business, you will establish "breeding beds" with these big fatso's I call "butterballs". It's possible to encourage these guys/gals (they are both, you know) to breed more and lay more eggs. Banding: When worms become sexually mature, they will have a band about 1/3 or less down from the top. 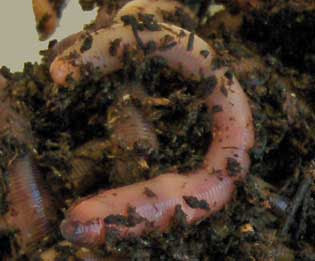 Worms usually form these bands when they are three months old. So, even though the worms are small in size, they are laying egg capsules. These capsules from small worms are very tiny, even microscopic, but they do contain worms if only one or two. Because these egg capsules are almost invisible, you should always wear rubber gloves when you are handling the worm bedding, since the oil from your skin will render the eggs infertile. European Nightcrawlers: The best fishing worm bait. 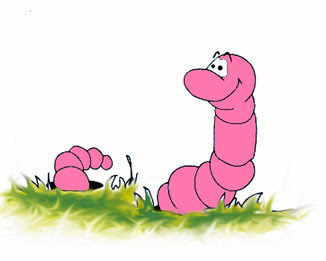 Red Worms: The premier composting worm. EarthwormWorks: Learn more about caring for earthworms. Worm Farm Manual: Step-By-Step Guide To Raising Earthworms.